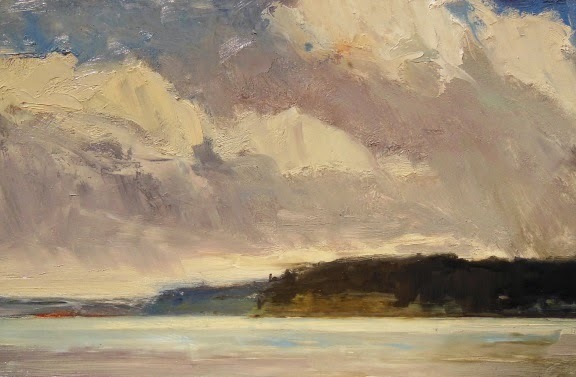 From a recent blustery day painting with friends on the shores of Puget Sound. We managed to dodge rain , hail and lightning and still get a few paintings in. Thanks to Gigi from the BBI group for hosting! On those days,when painting outside is not an option, I have found it beneficial to grab the nearest object and paint it rather than spend a bunch of time circling the wagons. 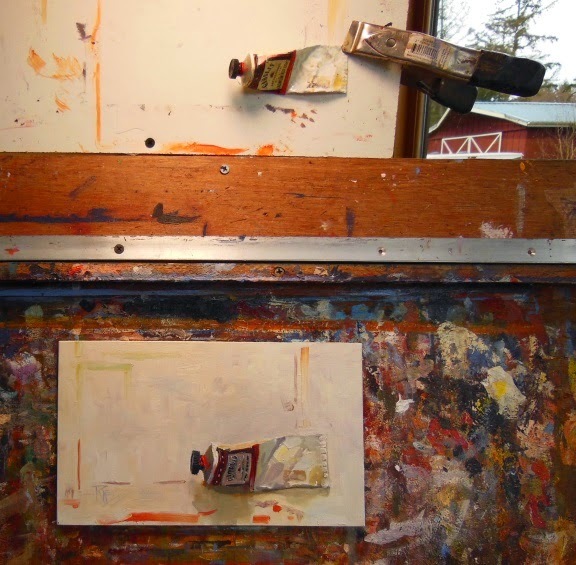 This was one of those paintings...plus, Diane at Alki Arts has been asking me to paint more of these little studies. She has a collection going and thinks some of her other customers would like them too...So I did several. You can see all the paintings I did for Diane by going to my re-designed website! Yes! I have a new website! It's the same URL but a totally different look. If you click on the Portfolio tab you will see the paintings available at both Alki Arts and The Carrie Goller Gallery. 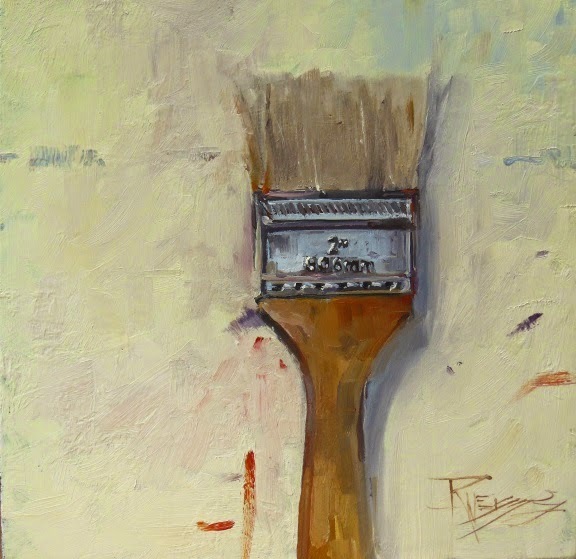 A lot of the other page links will take you to my Daily Paintworks or Daily Painters gallery page. That gives you a good overview of my recent and past work. I was totally surprised and delighted that "Under the Fremont Bridge" was accepted into the Oil Painters of America national exhibition in St. Augustine, Florida. What an honor to be included among some of the finest painters working in oil today. 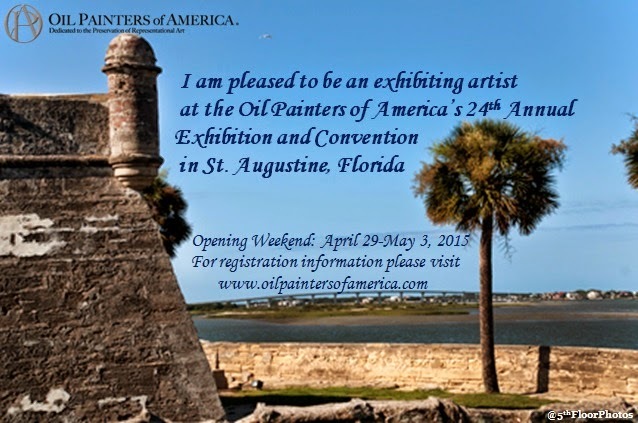 I will be participating in the plein air competition that is included among many events at the convention this year. Really looking forward to connecting with other artists I have admired for many years. This painting was done from a photo taken on location in Seattle, WA. 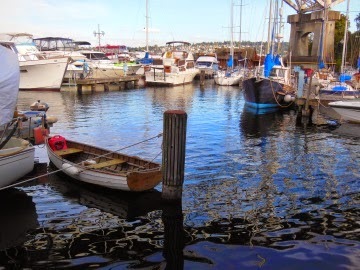 I had a brief window of time before meeting someone and I raced around taking photos of the marina and boat houses under the Fremont Bridge that really grabbed my attention. I remember studying this view and thinking how massive the bridge supports seemed. Of course the photo did not convey that so I accentuated the support as well as bringing the rowboat more into the foreground. 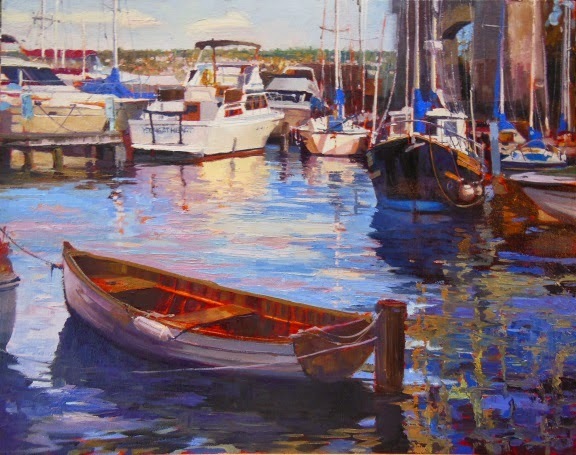 This is a good example of how the composition of a painting can be enhanced using your photo reference and the memory and feeling of the place. The ideal situation would allow time to do sketches or even a color study but that is not always an option as in this case. Sometimes you have to snap as many photos as you can, take a mental image and get into the studio asap while the inspiration is fresh in your mind.